Martin Cutter, Director City Operations, City of Melbourne: Martin is one of the City of Melbourne’s most experienced Directors, responsible for the Resilient Melbourne, Planning & Building, Property, On-Street Compliance, Engineering Services, and Parks and Waterways branches. Martin also brings relevant and extensive experience as the prior Director of City Economy and Activation (including brand, marketing and economic development), and Director of Finance, at the City of Melbourne. Councillor Rohan Leppert, City of Melbourne: Councillor Leppert was elected to Council in 2012 and is Chair of the Arts, Culture and Heritage Portfolio, and Deputy Chair of the Planning Portfolio and Knowledge Portfolio. Councillor Leppert is also a Board member of the Municipal Association of Victoria and chairs its Planning Committee. Claire Ferres Miles, General Manager Place Strategy & Development, City of Port Phillip: Claire is responsible for the Strategy and Growth, Place and Design, City Development and Sustainability and Transport departments at the City of Port Phillip, which is one of the largest local government entities based in inner Melbourne. Michelle Fitzgerald, Chief Digital Officer and Smart City Office Manager, City of Melbourne: Michelle is responsible for the Smart City Office branch, which includes the CityLab, Open Data, Geographic Information Systems (GIS), City Research, Strategy and Knowledge teams. Michelle participated in the first phase of this program in Melbourne earlier this year. 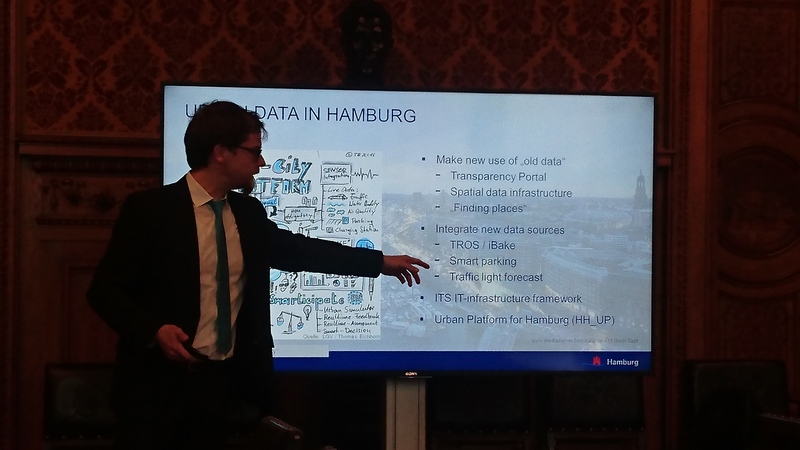 After an introduction by Uwe Ram and Laura Frick on Hamburg’s key urban development features, Mathias Wieckmann introduced the Hamburg’s Digital City Strategy. Martin Cutter introduced the main challenges of Melbourne and explained the possible cooperation areas. This was complemented by Thomas Jacob (Hamburg). Nicole Schubbe, delivered a presentation on Hamburg’s Smarticipate project. 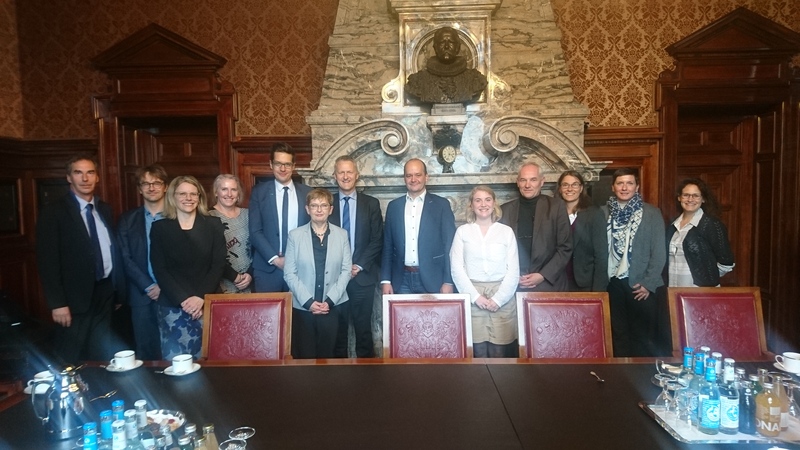 Also the projects MySmartLife and MONICA were introduced by Christoph Lindemann, Hannah Peschel and Sabine Hilfert (Senate chancellery). 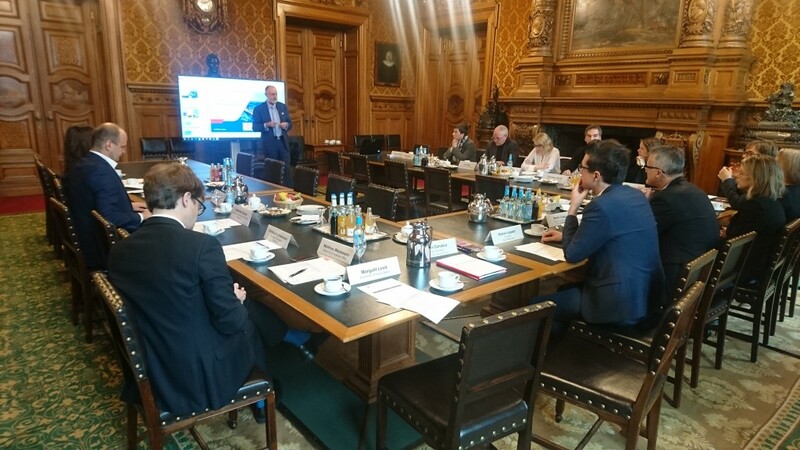 Discussions centered on “Smart Cities” (exchange of experience in both cities and future connecting factors) as well as on the implementation of smart processes in Governance (similar challenges, possible solutions). 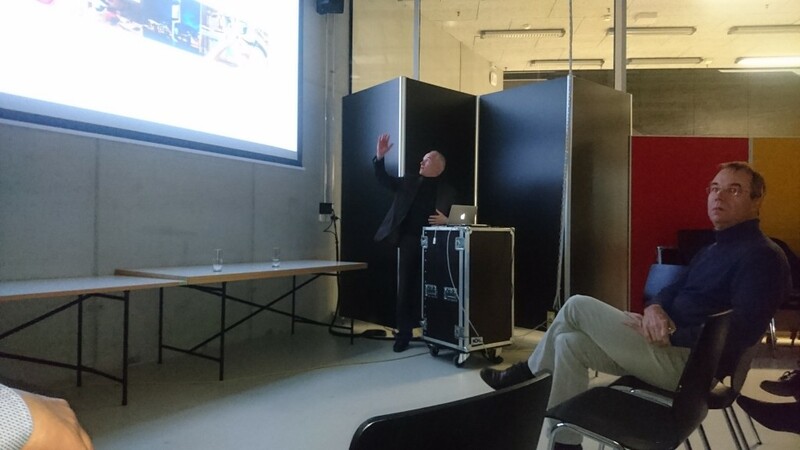 Field visits were undertaken to the CityScienceLab, where Prof. Dr . Jens Bley and Prof. Dr. Gesa Ziemer introduced the main features of the lab, a joint venture between the Massachusetts Institute of Technology and the HafenCity University. Melbourne colleagues were able to use interactive urban planning methods, with the case study “finding places for refugee dwellings in Hamburg”. Ms Ziemer explained the citizens participation process that started 2016 and is still ongoing. Prof Bley also introduced the Smart Square project, a best practice for urban revitalization through cultural heritage and public space branding through ICT. 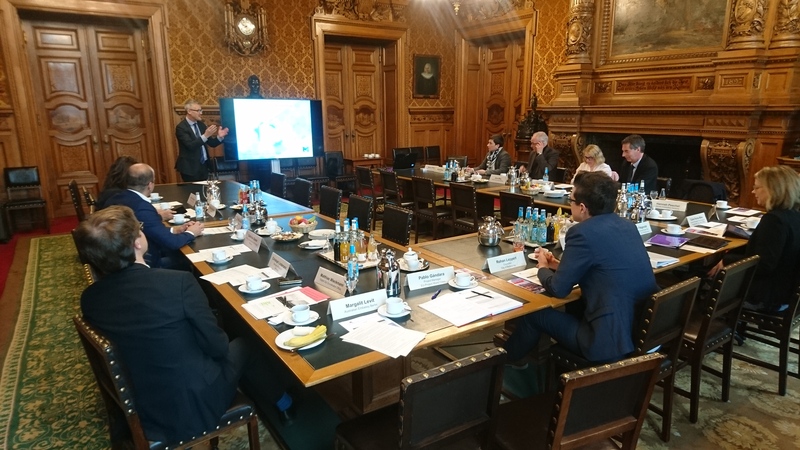 Further meetings included the Ministry of Urban Development and Housing (BSW), where Rouven Wagner and Astrid Köhler explained the urban planning approach in Hamburg and the tools for citizens’ participation. 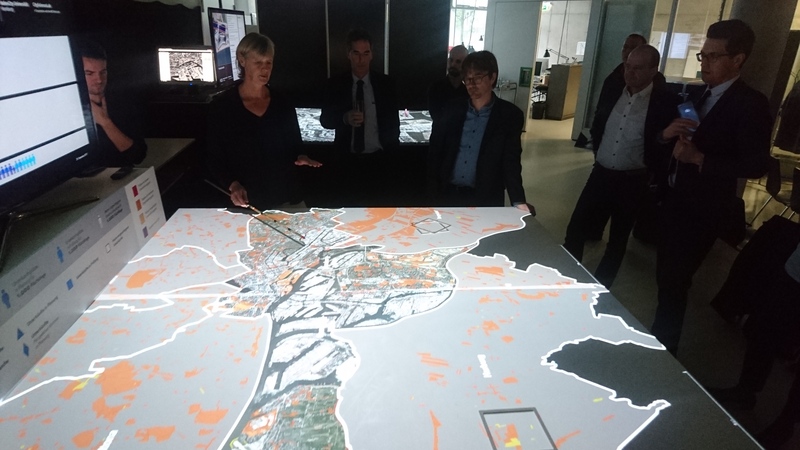 The Melbourne delegates also visited the 3D CityModel at the Ministry of Urban Development and Housing and Ministry of Environment and Energy. A field visit was also undertaken to the IBA (Hamburg’s urban development company) and their projects (Energieberg and Energiebunker).